Newster is a clean and modern responsive magazine WordPress Theme. 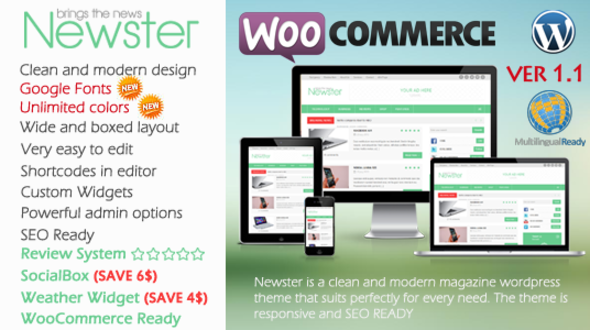 This theme is SEO ready, WooCommerce Ready and perfect for any designer, creative person, business, corporate or agency. Unlimited color schemes - NEW! Custom Homepage Slider – NEW!